OMEGA is a watch with a storied history and a connection to the British victory in World War II. You might not know it, but between 1940 and 1945, OMEGA delivered more than 100,000 timepieces to the British Ministry of Defense, and the watches were used by British airmen and sailors as part of the Allied strategy. Time, though you might not know that, is a key element of victory in warfare. You need accurate time to coordinate a military force, and you need timepieces that can endure the harshness of war. The OMEGA timepieces were prized especially for their water resistance. Released to the market in the wake of World War II, the Omega Seamaster made its mark in watch history by incorporating the water-resistant technology Omega used in the military watches it provided during the war years for the British Royal Air Force and others — including the innovative rubber O-ring gasket — into an everyday dress watch. Subdial at 6 O’Clock. The dial of the Seamaster 1948 Small Seconds includes a small seconds indication at 6 o’clock, as well as leaf-style hour and domed minute hand. The watch is presented on a brown leather strap with a polished-brushed stainless steel buckle. The Central Second Model -Graced with Dauphine style hour and minute hands filled with white Super-LumiNova, the dial of the Central Second model is clean and classic. A blue-grey leather strap completes the look. Commemorative Caseback – As a further tribute to the many aviators and mariners who have placed their trust in OMEGA, the flat sapphire crystal caseback of each watch is laser engraved and lacquered by hand with a 70th Anniversary logo, a Chris-Craft boat and Gloster Meteor aircraft – the first jet plane used by the Royal Air Force. Uniform Qualities – A stainless steel case, polished bezel, opaline silvery domed dial and polished crown, embossed with vintage OMEGA logo are common to both models. The watches are presented in their own special collector’s box made of soft brown leather and kept upright but easily moveable thanks to a magnetic floor. A spare NATO strap, leather strap and strap changing tool are also included. Each model is limited to 1,948 pieces, and the reissue is certain to rekindle interest in OMEGA’s historic role in the Allied WWII victory. They are just coming available now in December, 2018, so of course they make great Christmas or Hanukkah gifts. If you’re lucky enough to own an Omega, it’s also a great reminder to show your watch to friends and family and be cognizant of not just the physical beauty of the timepieces but their history. The historical element in these great brands is something that we relish, as we are fortunate to be the best and top-rated Omega watch repair shop in New York, NY, so we see a lot of historical watches as they come in for repairs. Another option is that you may own a vintage OMEGA watch. Perhaps you inherited it from one of your parents. Perhaps you bought it vintage on the Internet. Or perhaps you’re old enough to have owned the watch since you were a young man or young woman. Regardless, you don’t want to keep an OMEGA shut away in a drawer. Bring in your watch for a complete checkup and potential repair. We repair a lot of OMEGA watches here in our Midtown watch repair shop. Many people bring them in when they want to gift / regift them as family heirlooms. They make great historic gifts for your family. So if you’re planning to gift a family heirloom this Holiday season, call us and make an appointment for a complete inspection and repair of your OMEGA watch. That way, when you give it, you’ll be certain that it’s in fine working order. 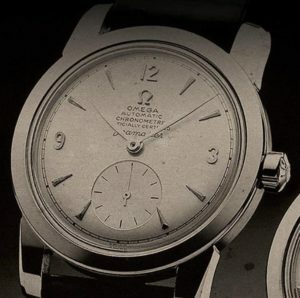 Really there is no better historic gift than an OMEGA watch that combines the storied history of the brand with the history of your own family.